Over a year ago now Paul Jebb (@pauljebb1) and I had a conversation on Twitter that was all about avoiding running a marathon. As a reluctant runner 10k is about my limit and Paul pretty much confessed the same … so we decided to run a 10k together. 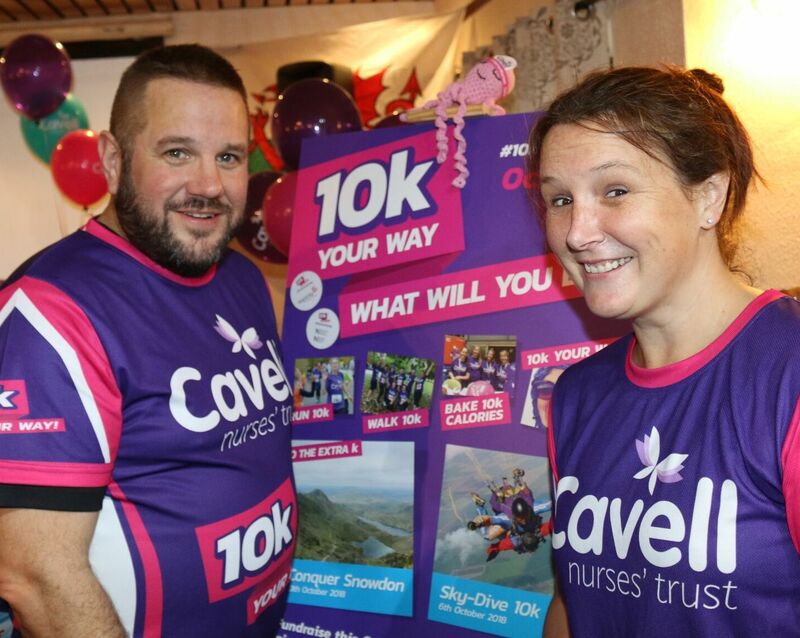 As passionate and proud Nurses it seemed like a good idea to run our 10k for The Cavell Nurses’ Trust … Cavell do amazing work to support nurses in crisis (if you haven’t yet heard of them you can read about them HERE) and just like that #10kfornurses was born ! In October last year Paul and I ran our 10k together in Sheffield … Paul beat me, but it was more about raising money and awareness so I forgave him … eventually ! The wonderful thing was that a whole load of other people did a 10k for nurses … nearly 100 people !!! Some ran, some walked, some baked and some even bounced. 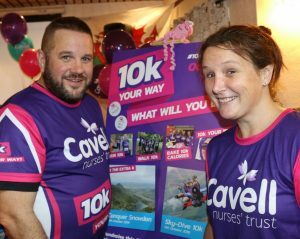 It was great fun & it was brilliant that the lovely folk at the Cavell Nurses’ Trust wanted to do it all again this year. Paul and my 10k for Nurses this year was all about going the extra ‘k’ and we both decided to join 100 other people and take on Snowdon. Of course Snowdon in October was never going to be a day at the beach and storm Callum made sure of that. 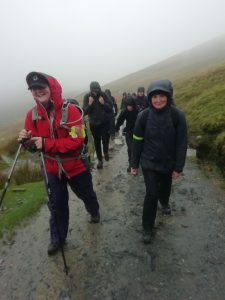 In the days before the Snowdon hike we all watched the weather closely; it soon became apparent that our hike may be more challenging than we first thought. On the way up to Snowdon the night before the hike the wind and the rain was really starting to come down in earnest … storm Callum was flexing his muscles ! We (my husband, Nick Chinn and Joan Pons Laplana and I) had just left Shrewsbury train station to begin the ‘by car’ part of our journey when I received a call from John Orchard (CEO of The Cavell Nurses’ Trust) John was just calling to advise us that we would have to take an alternative route into Llanberis – where we were staying for the evening – as one route was blocked by a fallen tree and the other was blocked by a landslide !! As we made our way through the welsh lanes in the wind and the rain suddenly a marathon seemed like a good idea !! We eventually arrived at the hotel rather shaken and an hour later than intended ! The next morning Storm Callum was still causing trouble but despite the wind and the rain loads of people turned up to walk their 10k ! Our fab guides – led by Jason Rawles – made the decision that it would be too dangerous to go to Snowdon’s summit but we would instead hike 12k around the bottom of the mountain. It was a good decision … within 5 minutes of being out the only part of me that was dry was my left foot !! The rain and the wind were unrelenting. 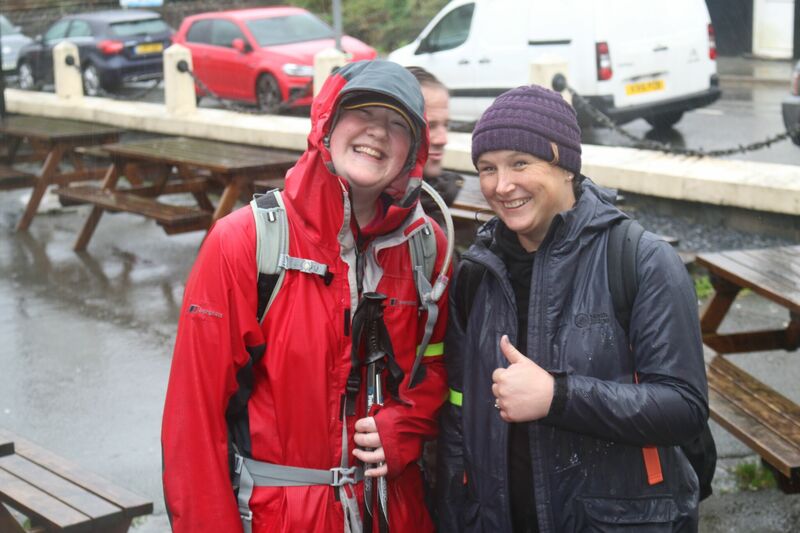 But spirits were high and we were all determined to compete the hike …. after all what is a few hours in the rain compared to the hardship that some nurses face? As we reached the 5k turn around point we all voted to hike just one more “k” so we could still go the extra “k” for nurses. That extra kilometre was the toughest kilometre I have ever walked … the wind was (we were told later) hitting speeds of 50mph and the rain just kept coming … we walked a few steps and then stopped a few steps. I have to say that I did not feel scared or unsafe and this was largely due to our brilliant guides who looked after us and gave us tips and support as we walked. As we turned and headed for home I felt a little sad that we did not reach the summit .. but mostly I was proud that, despite the odds, we did it !! We hiked 12k in all, though it felt much further ! And as we all came back into base everyone had a smile on their face.